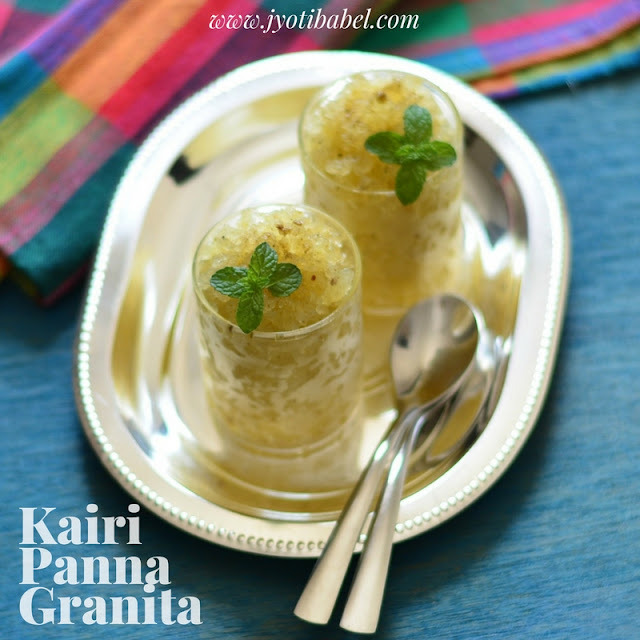 Kairi Panna Granita, as the name says is granita made with the much loved Indian summer drink - Kairi Panna/Panha. Granita is an Italian semi-frozen dessert made with ice, sugar and flavourings of choice. It is quite similar to sorbet. But there are some differences - one being that granita has a coarser and more crystalline texture while sorbet is very smooth. I love Kairi Panna a lot and make them in bulk in summers. It is very cooling for the body and is a must to beat the heat. But, my DH is not a big fan of it. I know - that's strange right? Well, I don't mind, in fact, I am rather happy that I get to drink his share of Kairi Panna too. A win-win! So, it happened that I had to use up some raw mangoes and I ended up making this drink in bulk. Since I couldn't finish it all off, the idea of making granita out of it struck me. 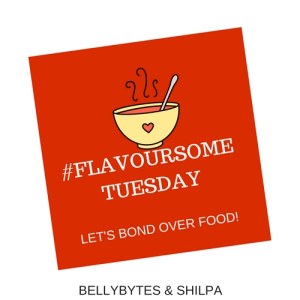 Believe me, it was an epiphany of sorts and I wondered why haven't I tried it earlier. Well, as the saying goes better late than never. So, I just went for it and I am so pleased with the results. 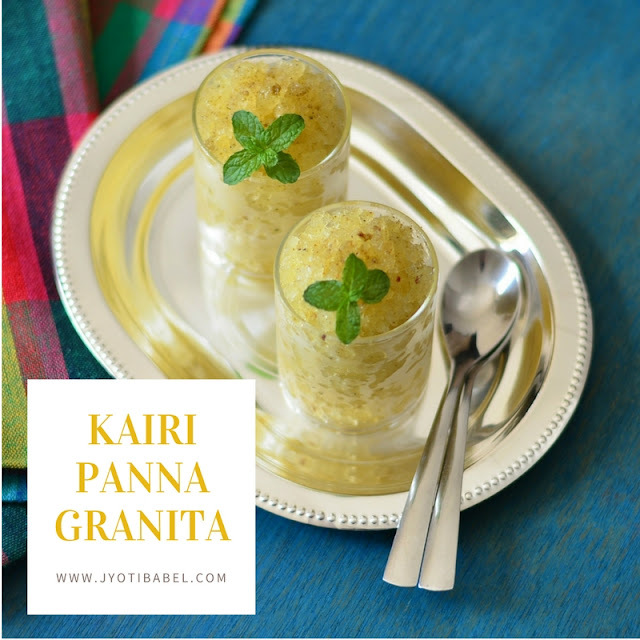 All you need to do is prepare the Kairi Panna and keep it in the refrigerator. Every hour or so for the next 5 hours, prick it with a fork so that its iced form is slushy. This Kairi Panna granita reminded me of the ice-gola we all love. But, I do think this is much better as it is homemade - no artificial colours, flavourings or preservatives. 1. Transfer the prepared Kairi Panna in a freezer safe container and put in the ice section of the refrigerator. 2. Every hour of its freezing time, fork it to break all the ice-crystals and keep it back into the freezer until frozen. 3. In order to serve it, spoon the granita into serving glasses, sprinkle it with some chaat masala and garnish it with a sprig of mint. Serve immediately. I prepare it just for hubbz and SIL, who love it, immensely! Haven't tried making it into Granita, so, for SIL will make something like this coz I am sure she will love it. That looks great and flavourful. THanks for sharing this recipe.